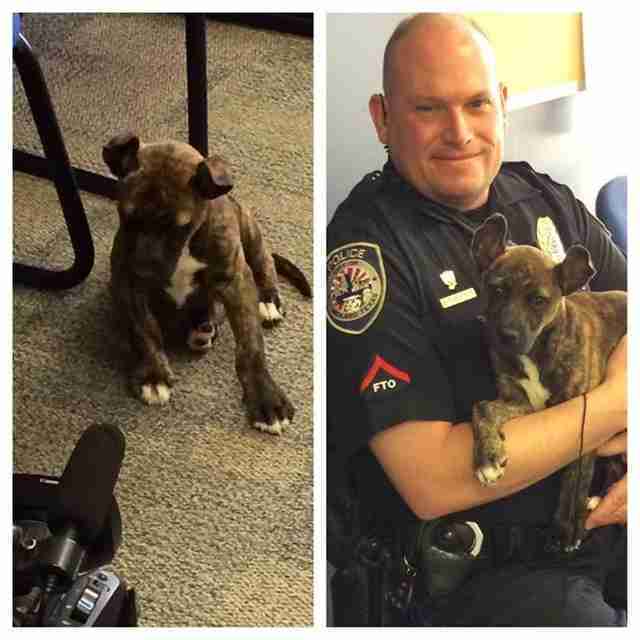 Unfortunately the other frightened puppy ran away in the commotion - but officers at the station were all eager to care for the puppy they were able to rescue. 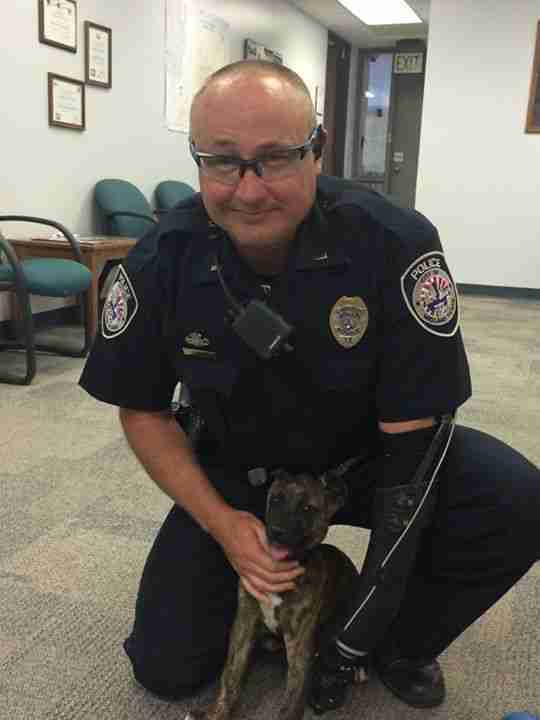 "This precious pup had a rough morning but she's getting lots of love from officers," the Midland Police posted on their Facebook page, "the puppy is a little shaken but she's not hurt and is expected to be ok!" The abuser was held on a $500 bond for a misdemeanor charge, the Midland Reporter-Telegram reports. 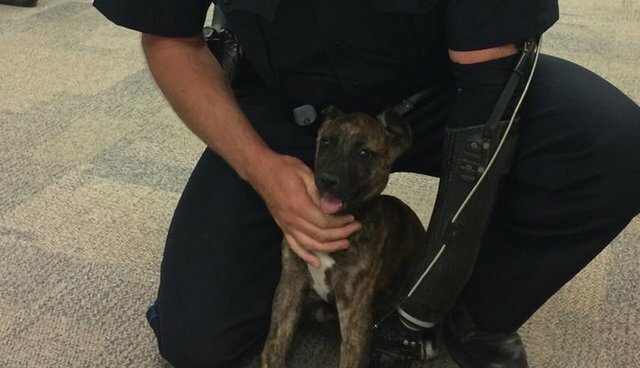 The rescued pup stole the heart of one officer in particular - Lt. Brian Rackow, who was so taken with the little gal that on Tuesday he officially adopted her. He named her Marley. 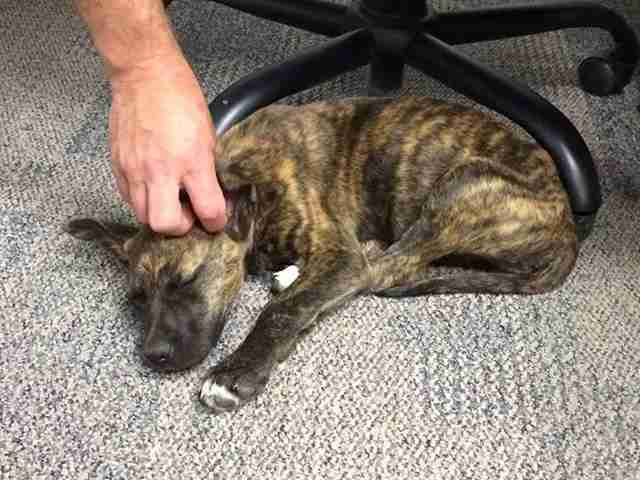 Now Marley's going to have a loving dad for the very first time, not to mention plenty of aunts and uncles who were there for her dramatic rescue.